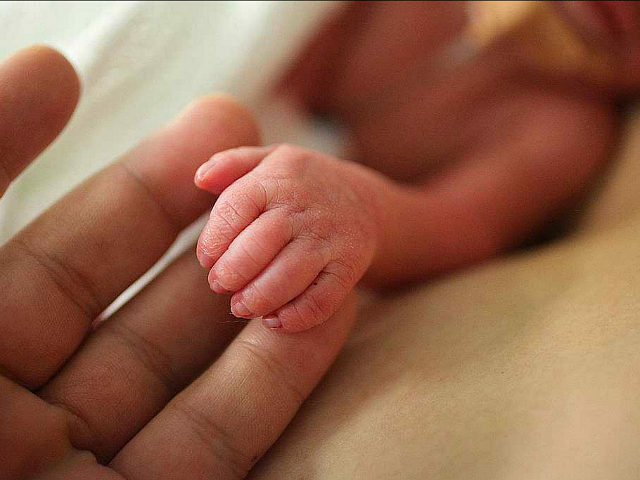 The number of white American deaths exceeds the number of white American births for the first time in United States history, a new analysis finds. 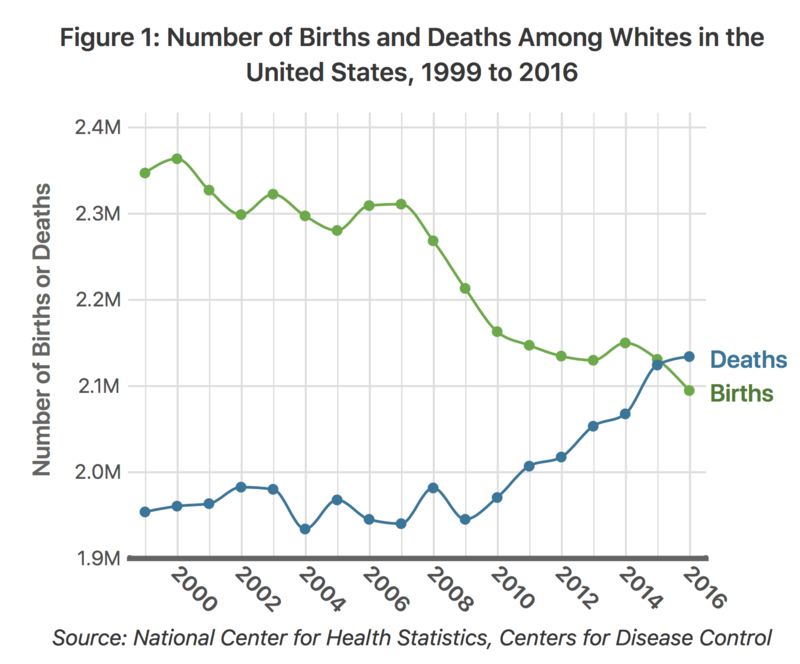 In data from the National Center for Health Statistics and the Center for Disease Control analyzed by Rogelio Sáenz and Kenneth M. Johnson reveals that in 2016, there were more deaths of non-Hispanic white Americans than there were births of non-Hispanic white Americans in 26 states across America. In 2004, only four states in America had more white deaths than white births. In 2014, that statistic rose to 17 states, and now is at the largest level in American history. 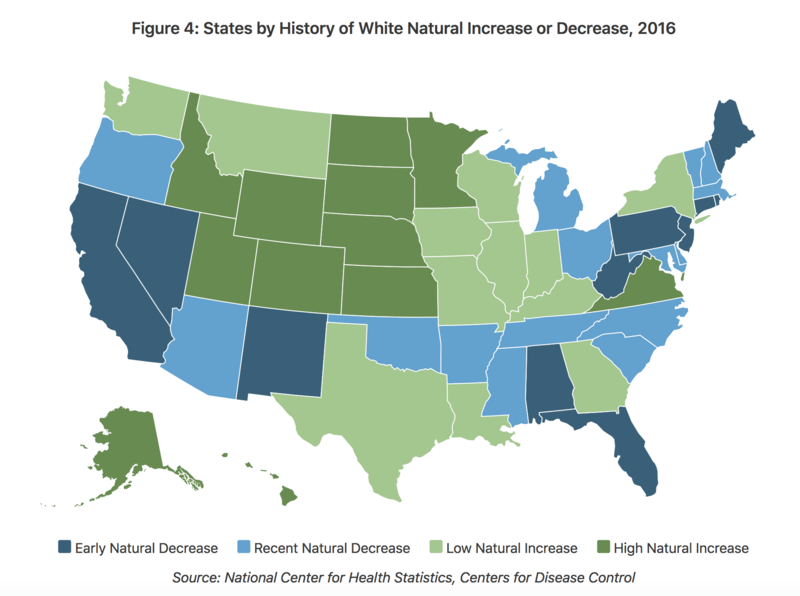 Between 2015 and 2016, in 17 of the 26 states that had more white deaths than white births, the overall white population decreased. The researchers say in their analysis say that they expect this trend of overall decreasing white American populations to continue. The researchers say the decreasing white American population — aside from mass immigration from mostly Central America and Mexico — has been spurred by the below-replacement fertility rate for whites. Still, about 61 percent of the U.S. population is non-Hispanic white. As Breitbart News reported, the U.S. has admitted and permanently resettled close to 10.8 million legal immigrants, a foreign population that exceeds the entire population of New York City, New York — where more than 8 million residents live. The booming foreign-born population — which has hit a record high of 44 million foreigners living in the U.S. — is expected to hand over political dominance to Democrats, an analysis by Axios recently revealed, as Breitbart News reported. 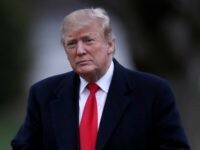 Another study conducted this year found that mass immigration to the U.S. has cost the Republican Party five formerly GOP states and 11 House Districts, Breitbart News’ Neil Munro reported.